I just stayed one night but it was really nice, beautiful people, nice place to chil and meet the other guys and awesome staff, Sara is a legend, she was so helpfull with everything I needed. Loving vibe! Great deals on longer stays. Cleaners constantly clean. They happily make sure the place is perfectly clean just prior to guests arriving. There is enough kitchen facilities - like everywhere - choose a quiet time to fill up. Or rub shoulders to meet people in the kitchen. Some people are grubby in rooms - that happens everywhere. The locks are all pin code locks - that some guests stupidly make unlocked - if a child leaves a deadbolt on your house door open wouldn't you fix it? The room was very small but comfortable bunk beds. The hostel was VERY small and the people were all very friendly. Due to the fact I was there during renovation I got cheaper rates and some of the facilities were being built still. Great location and everything in Darwin is within walking distance. Receptionist very casual and flexible about checking out. Free laundry available 24/7. Very comfy beds. 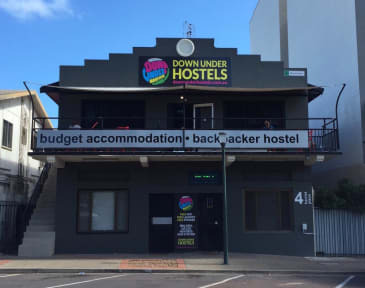 More quiet than you would expect for a backpacker hostel. I was pleased with my stay. Good wifi, too. Was upgraded one night to a better room, thank you very much! 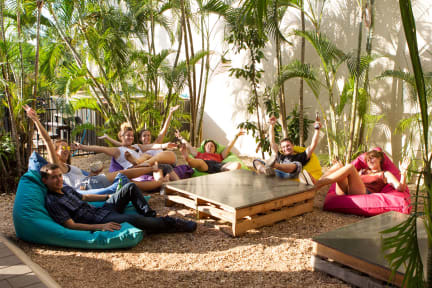 Cool hostel to party with. They have cool activities every night. It wasn't the cleanest hostel but is okay overall. I only stayed one night but my stay was enjoyable. The staff are super helpful and the location is pretty perfect. The rooms are small but the beds are comfortable. Free WiFi and free laundry, what more can you ask for. I would definitely recommend staying. “Newly renovated” is misleading—they are CURRENTLY renovating with you inside. The place is a shambles, paint & tools lying around for days, bathrooms half-constructed. The outdoor area is alright but doesn’t have its advertised jacuzzi (was told it would be “ready in a few days”, never happened). The worst was the dorm—the AC barely works & ceiling fan was broken so top bunks were SWELTERING. It’s nextdoor to a bar too, & even with earplugs I couldn’t sleep. The bunks didn’t even have ladders.